I know James features elsewhere but his story is so incredible in some ways that I have given him his own wee space. Born on 14th June, he moved to Dalkeith at an early age and grew up in the High Street. In 1913 he was persuaded by his Scout master to enlist in the local territorial battalion of the Royal Scots, the 1/8th. He was one of seven children, and readily took to the idea, and joined up. 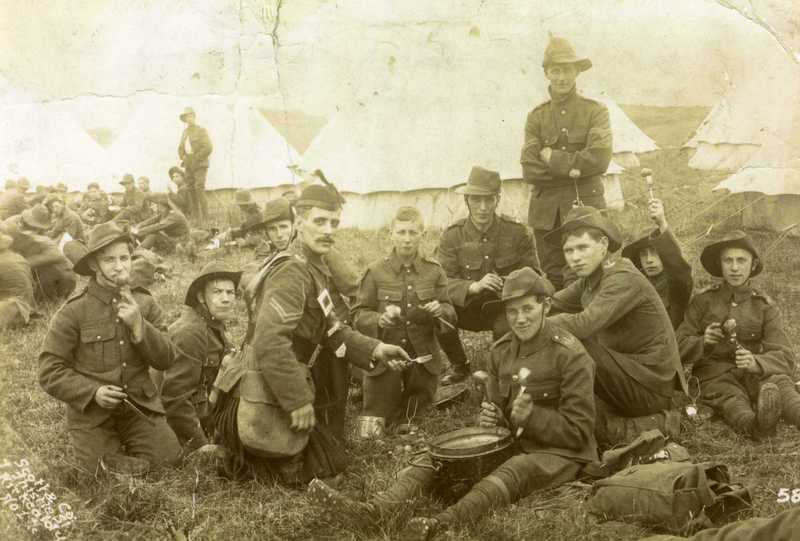 In July,1914 he went to Stobs Camp near Hawick for the annual TF camp., rumours of war were rife and all the men,and boys, fully expected to go to war at any time. All the pictures and the interview featured are courtesy of Neil Brockie, the Grandson of James, whom I recently had the pleasure of meeting. This interview was recorded at a seminar in the early 1970's within Newbattle Abbey College, Midlothian , the quality is a bit sketchy to start with but improves after the first few seconds. I am very grateful to Neil for providing me with a copy of the original cassette. 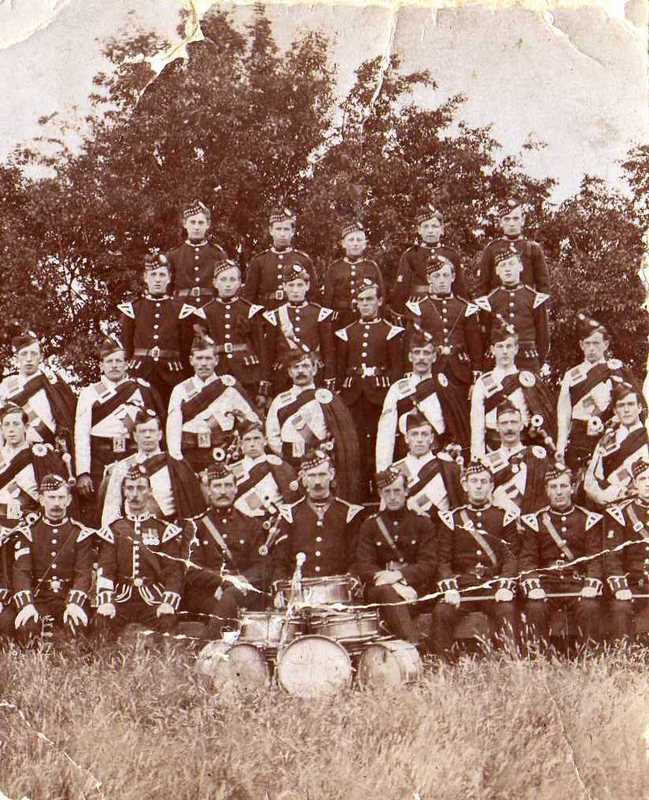 James is in the centre without a hat, here is another of him in his dress uniform.